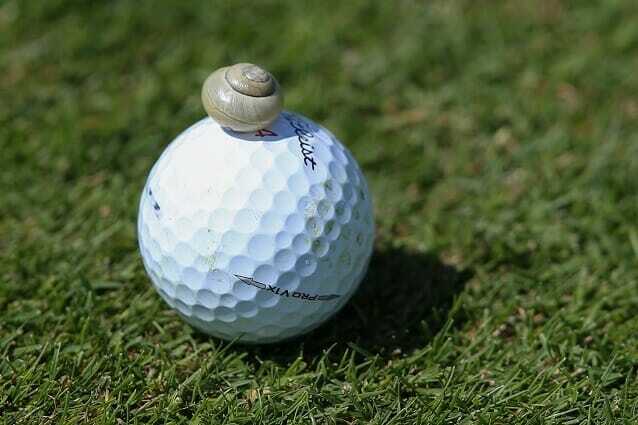 Home Latest News Amateur News Is slow play ruining your enjoyment of the game? Is slow play ruining your enjoyment of the game? Following the success of their Handicap Awareness month campaign in March the GUI have undertaken a Pace of Play week this week (Monday 3rd April – Sunday 9th April) another subject many golfers will be very happy to see addressed. With no fixed time for a game — unlike many field sports — the duration of a round of golf depends on how long it takes golfers to negotiate 18 holes, a subject the GUI have studied in some depth at the Irish Amateur Open Championship over the last few years. “In 2011, it was taking almost six hours,” recounts the GUI’s Championships Manager, Mark Wehrly. From 2012 onwards, the Committee in charge of the Irish Amateur saw rounds times improve with a more benign course set-up — but also by adopting practices more rooted in traffic management. In the past two years, the GUI has also monitored the round times of every group at the Irish Amateur, and in 2016 a timing station was operated at the first par-three of the Championship in Royal Dublin (the fourth) to assess the tee-shot time of every player. The average round time over the last two years for three-balls has been 4 hours and 26 minutes. It’s good to see the GUI tackle this issue and hopefully a good awareness campaign can get the snails moving. Look out for #PaceOfPlay across social media and have your say.